Media Prima Bhd has announced Mohd Ashraf Abdullah will end his tenure as group managing editor of news and current affairs at Media Prima Television Networks (MPTN), effective May 20, 2018. With immediate effect, Manja Ismail, the deputy group managing editor of news and current affairs, will make the step up, MPTN said in a statement today. Ashraf, who first joined as group editor of TV3 in June 2009, had earlier informed Media Prima’s board and management of his intention to step down from his current post. 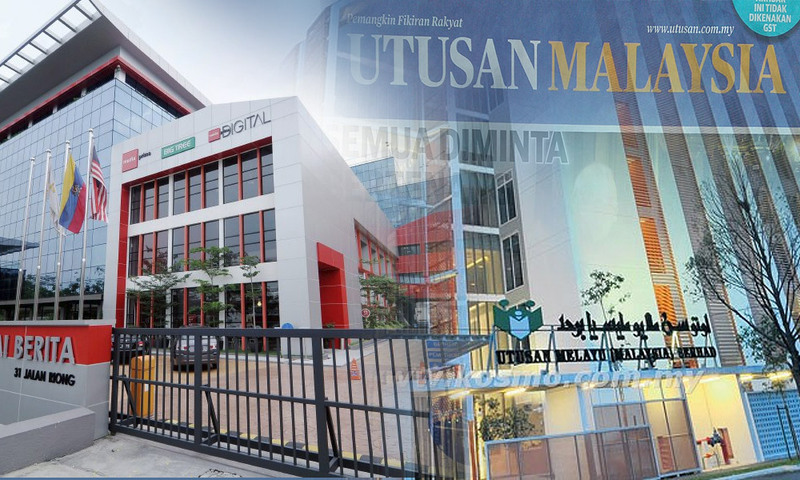 Meanwhile, Utusan Malaysia also announced the resignation of several board members. They include Utusan Group's independent non-executive chairperson Mohamad Fatmi Che Salleh and three other independent non-executive directors. The trio are Tengku Sariffuddin Tengku Ahmad, the press secretary to former prime minister Najib Abdul Razak, Jamalul Kiram Mohd Zakaria and Mohd Yusof Abu Othman.